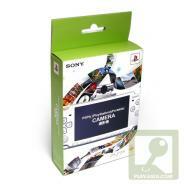 alaTest has collected and analyzed 47 reviews of Sony PSP 1.3 Megapixel Chotto Shot Camera. The average rating for this product is 3.6/5, compared to an average rating of 4.0/5 for other products in the same category for all reviews. We analyzed user and expert ratings, product age and more factors. Compared to other products in the same category the Sony PSP 1.3 Megapixel Chotto Shot Camera is awarded an overall alaScore™ of 72/100 = Good quality. alaTest has collected and analyzed 19 user reviews of Sony PSP 1.3 Megapixel Chotto Shot Camera from Amazon.com. The average user rating for this product is 3.8/5, compared to an average user rating of 3.9/5 for other products in the same category on Amazon.com. It plays games, it plays movies and now, thanks to the Go!Cam, the PSP takes pictures and shoots video. But does it make a happy snapper? Tiny , Cool , Cheap, not bad quality, Good Fun. A Bit Disapionting the Megapixels are not good my Phone has more but its great to carry around i recommend it as it is pretty cheap. Has great features with it like takeing pictures so they come out as drawings! Just attch it to the top of the psp and it works straight away. Add a camera yo your PSP. Go!Cam turns your PSP into a video and stills camera. The G0!Cam from Sony is an easy-to-use camera package for the PSP that hosts a variety of still image and video features. With a 4GB Memory Stick PRO Duo inserted in your PSP, you can record over two hours of video footage, instantly being able to play back the action on the PSP system's screen. Combining Go!Cam with Go!Edit transforms your PSP system into a portable editing suite, allowing you to edit footage and add a whole range of visuals, sounds and effects. Go!Edit is available for free if you have purchased a PSP Camera.